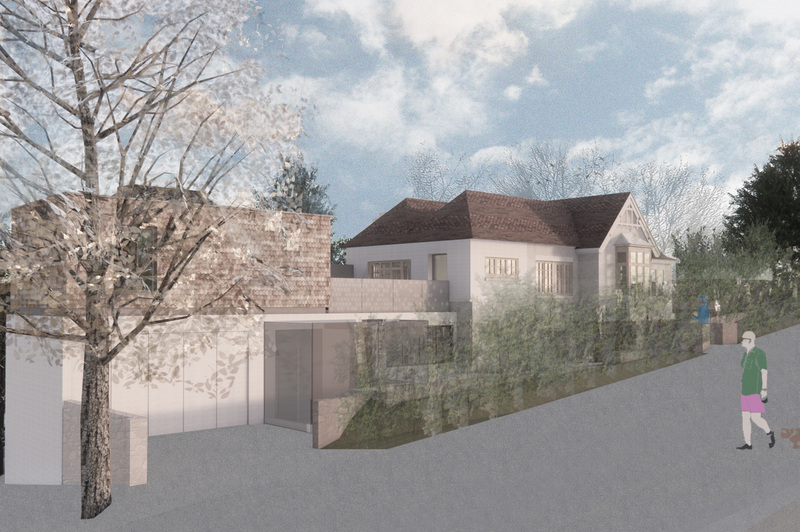 This project is located on a sloping site in the green area of Sneyd park, near Clifton. 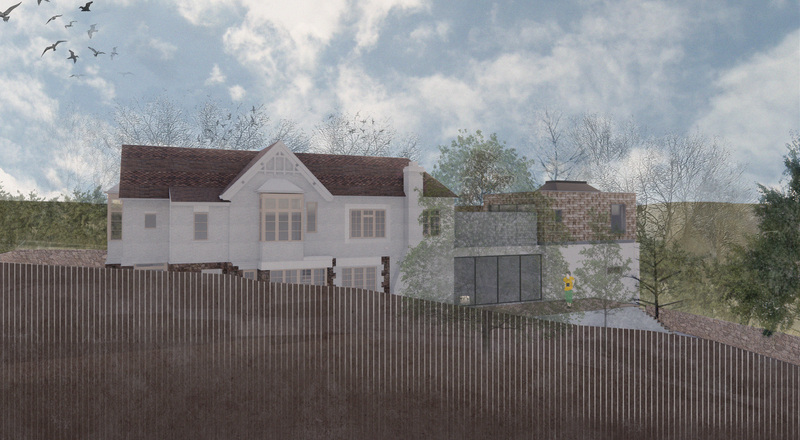 It comprises the replacement of a 1970s entrance lobby and the remodelling and extension of the original house. The design makes use of the space between the historical lodge and the detached garage to create a new garden room, enhancing the relationship between the interior of the house and the garden. A new ‘decorated box’ is added on top of the garage to form a studio. The ‘box’ is positioned as a distinct feature on a unifying white rendered ‘plinth’. The ‘box’ and ‘plinth’ are separated by a continuous metal feature trim that delineates new from old. 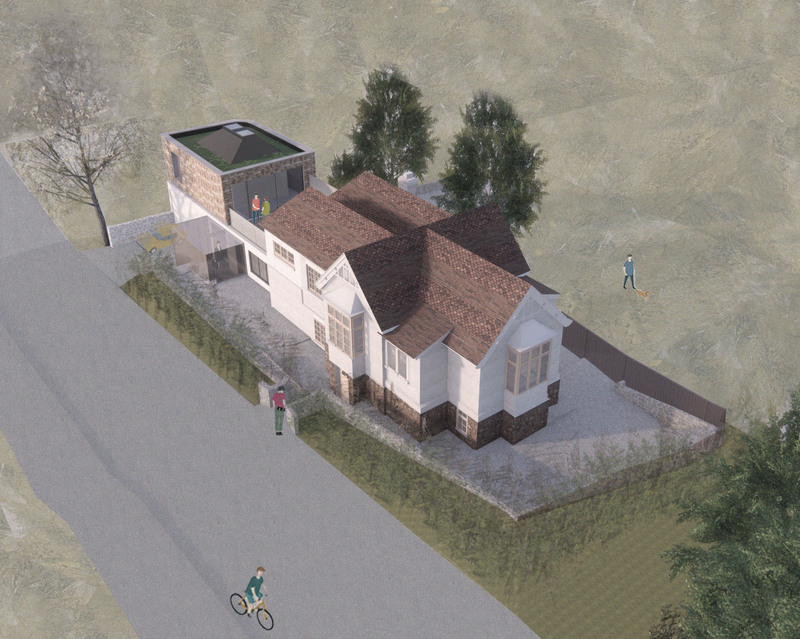 The design reinterprets the architectural features of the existing lodge through careful choice of material and detail. The patterning, texture and curved shape of the cedar shingles used on the facade are intended to echo the existing roof tiles to the lodge. A roof terrace is created above the garden room with laser cut metal screens that add a layer of decorative detail and visual interest.